D.L. 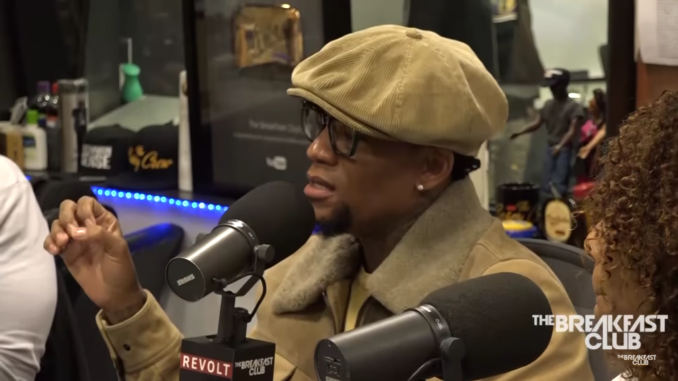 Hughley and his co-host Jasmine Sanders sat down with The Breakfast Club morning show to discuss topics trending in the news lately. D.L. touched on his disdain for Bill Cosby again, revealing how Bill “actively” tried to get Def Jam shut down because Cosby thought Def Comedy Jam was a “sh*tty depiction of Black people”. D.L. also mentioned life after revealing he had a child outside of his marriage, who was later killed by the mother’s boyfriend. Though his wife was understanding of the trauma that took place outside of her marriage then, having everyone know about her husband’s affair now is a new monster to tackle. D.L. also touched on White women’s role in White supremacy and poor White people’s love for Donald Trump, joking to be broke and White is a waste of White privilege. D.L. also discussed his fallout with Steve Harvey his own experience of being sexually assaulted and more.